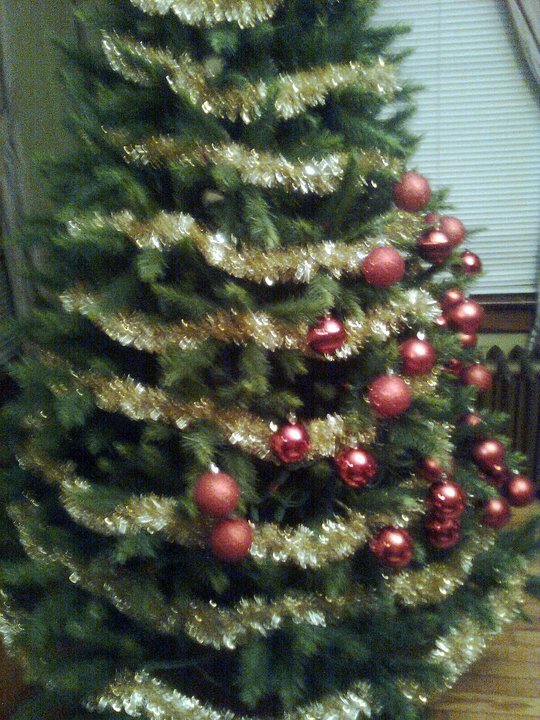 Our Christmas tree is up, lights are on it, and there are ornaments decorating its branches. I am disappointed that I cannot put all my heirloom glass ornaments on this year. Toast, our one year old cat, will be celebrating her first Christmas with us and she has not yet learned proper Christmas tree etiquette. Little E, the littlest of them all, tried to decorate the tree herself this year but at six isn’t quite tall enough to do the whole thing – sorry the photo is crummy but I couldn’t pass up the opportunity to capture this & had to use my mobile. Her brother and sisters have now ensured that the ornaments are spaced appropriately over the entire tree. I’m so excited about the club yarns that went out for both the Tonal Club and the Who Club that I can hardly contain myself. I am trying hard not to cast on with these yarns before I finish my holiday gift knitting but it’s taking every ounce of will I have! I want gloves – gorgeous beautiful gloves with cables from the December’s Tonal yarn and I want socks I can wear with high water pants for my Who yarn. All packages have been sent – for those of you in the US you should get them in a matter of days via Priority Mail. My dear lovely Canadians, I so wish I could afford Priority Mail for your packages but unfortunately the price is almost as much as the yarn! Rest assured my friends to the North, your packages are on their way to you. The kids were quite helpful this weekend shuffling boxes around for me while I packed up all the orders. 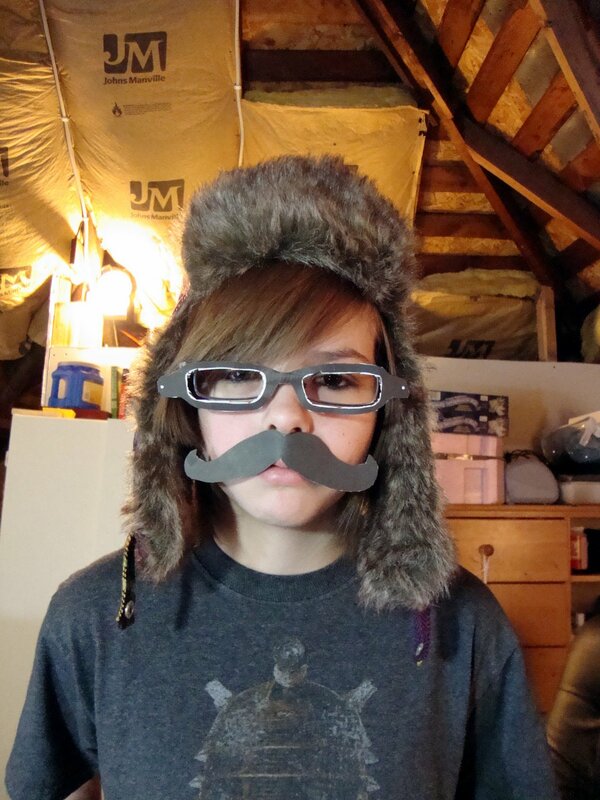 During downtime my mini-me made some disguises that we found highly entertaining. Here she is as “Jimmy” (and yes, she is wearing a Dalek shirt). Enjoy your yarn, hug those you love, and good luck with your holiday knitting! Don’t forget to pop by the Ravelry group and say hi! I love chatting with people! I’m back to the dye pots!